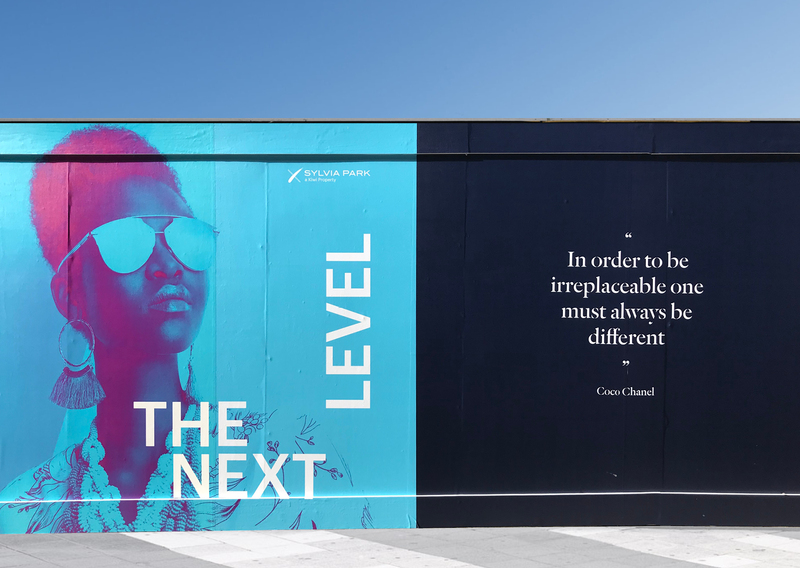 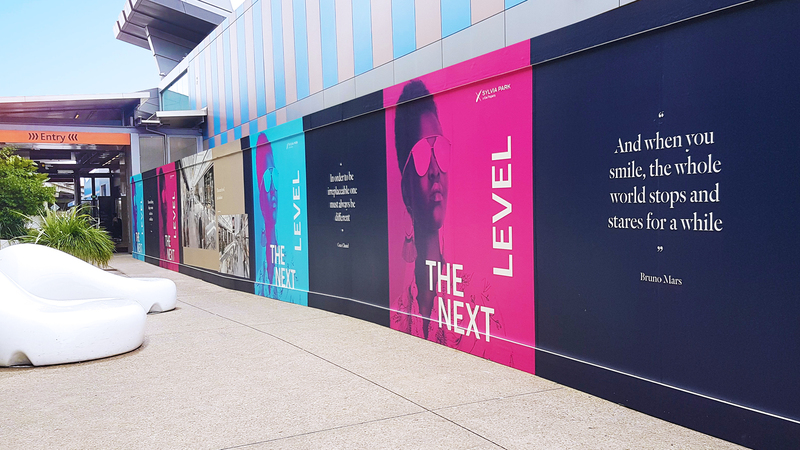 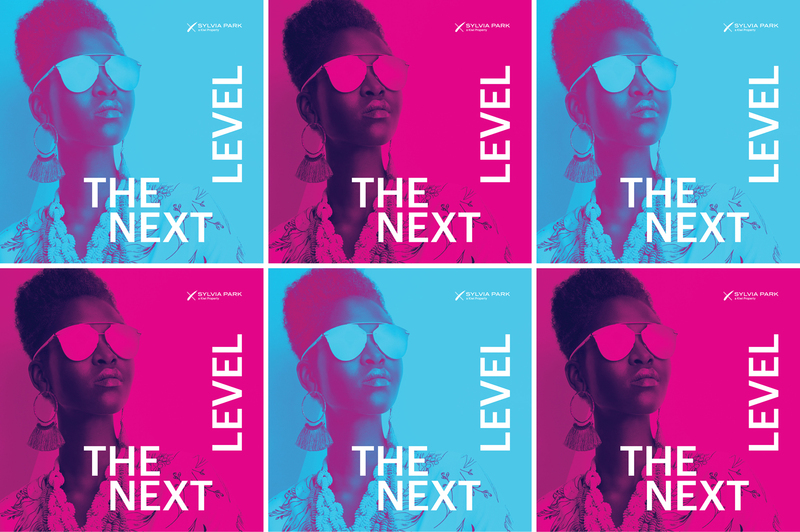 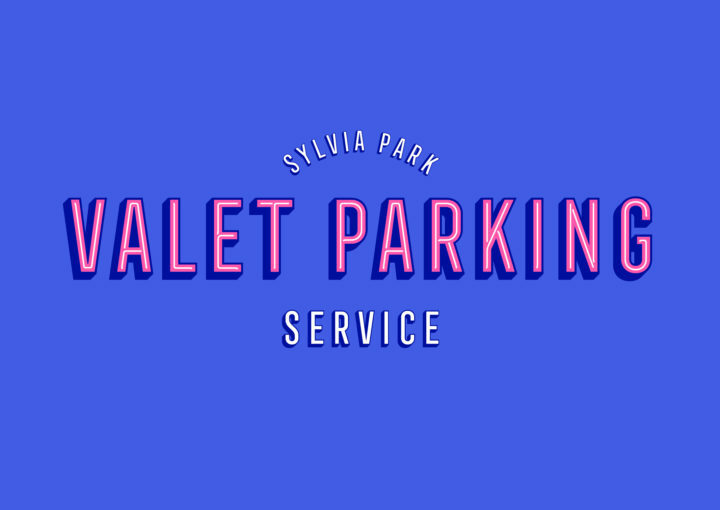 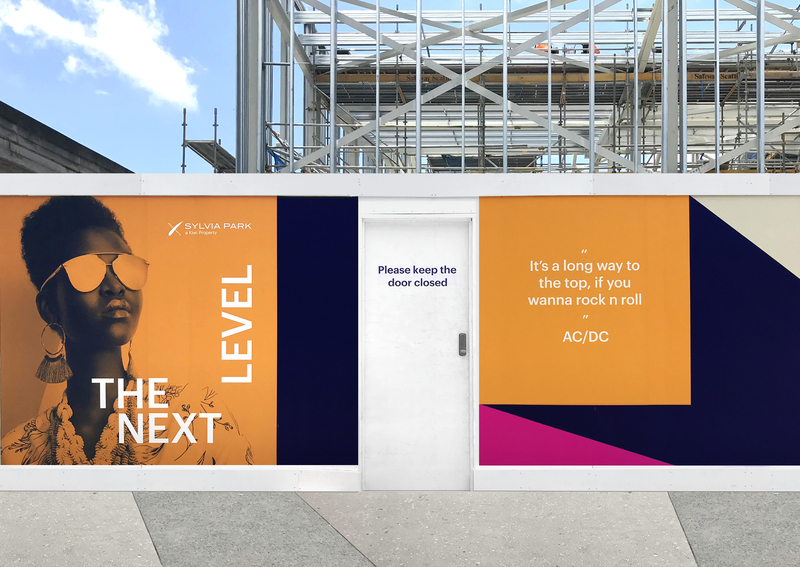 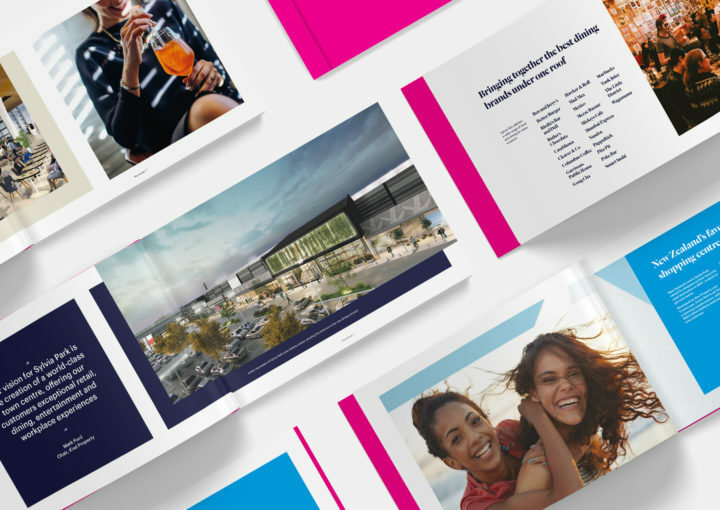 We’ve been creating a bold ‘The Next Level’ identifier for Kiwi Property’s Sylvia Park development of new retail galleria, new dining concept and multi-level carpark. 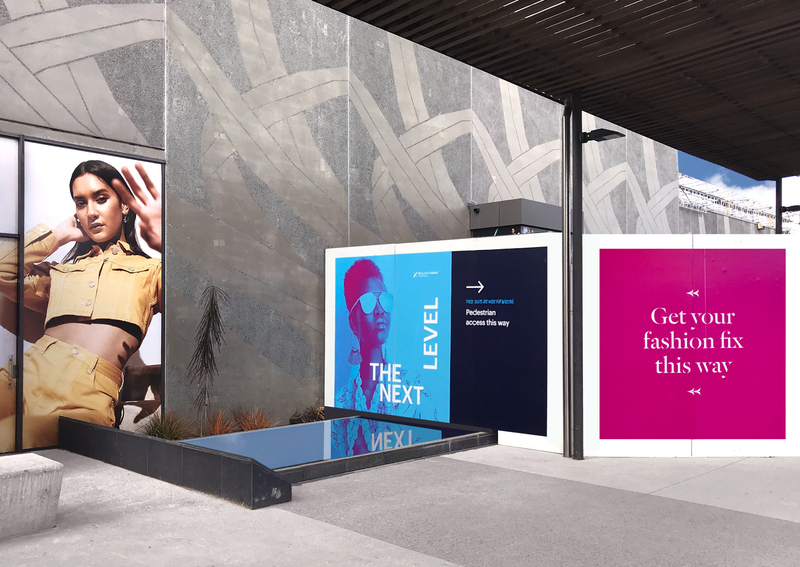 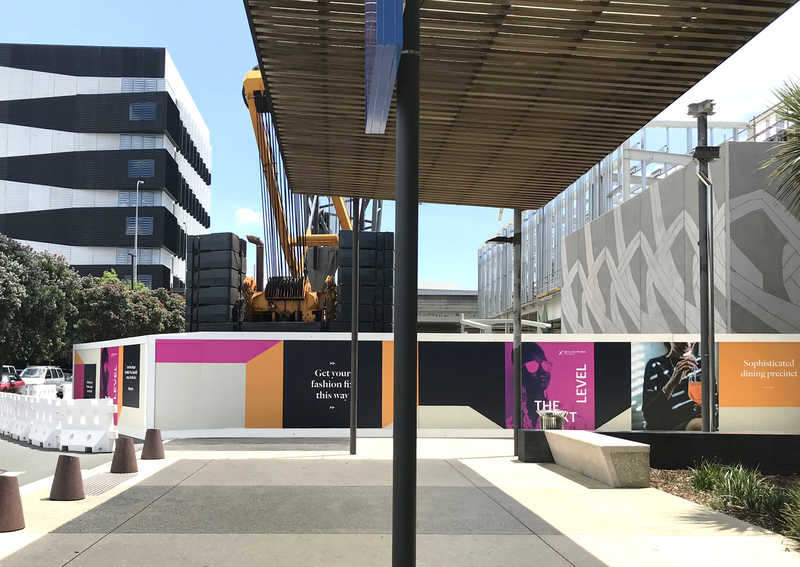 As the retail expansion gets underway, it’s forming part our design system of our large-scale hoarding installation that is going up now, with completion expected 2020. 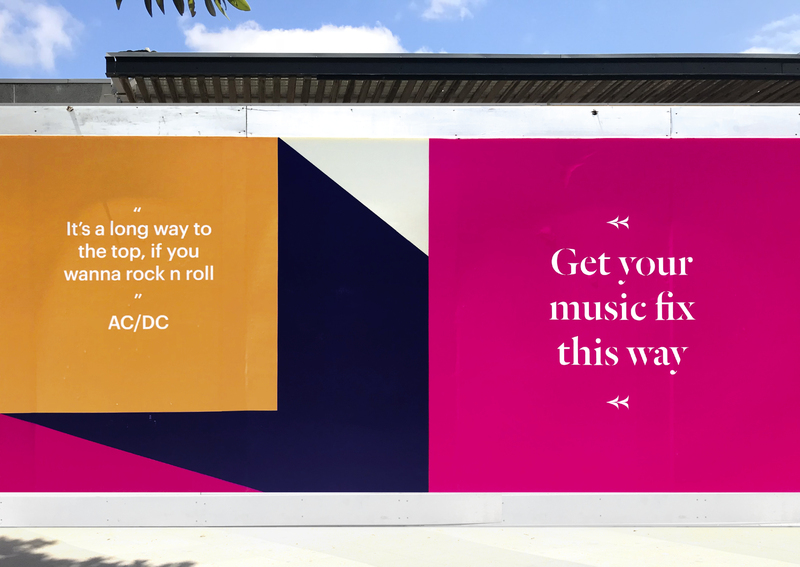 Impactful, colourful and modern, the graphics strike a balance between sophisticated and playful. 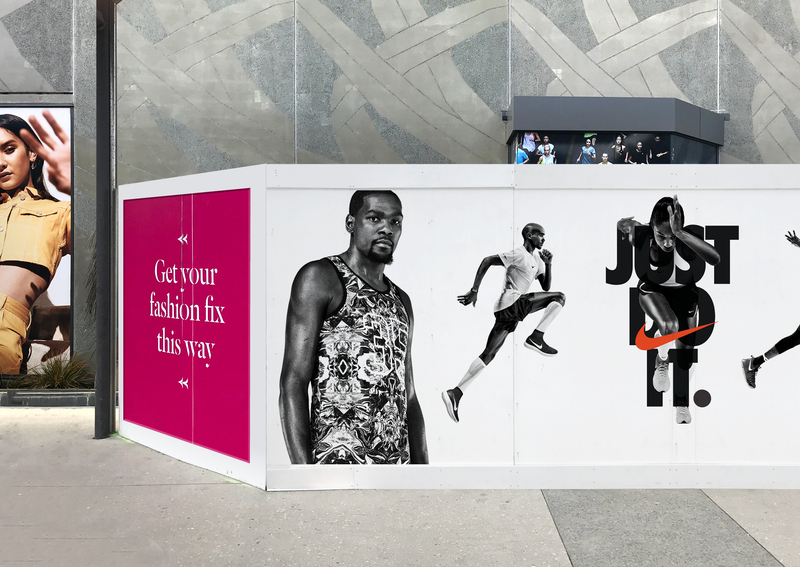 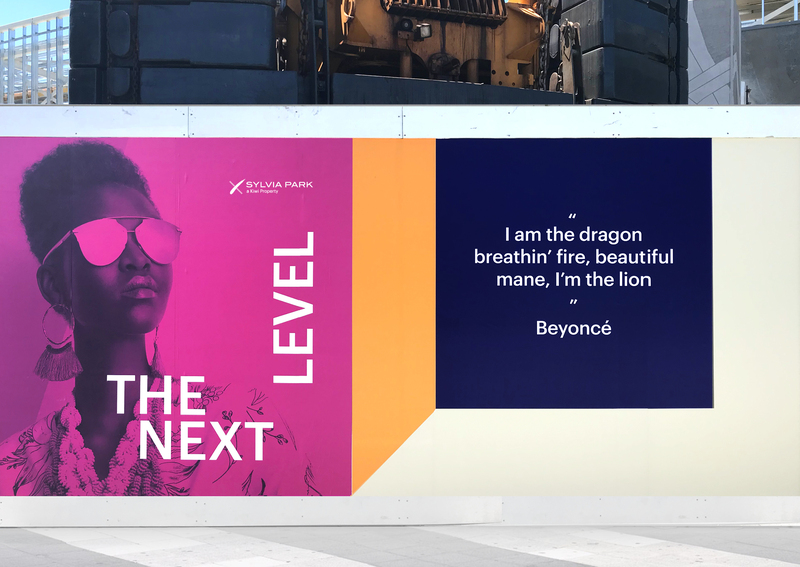 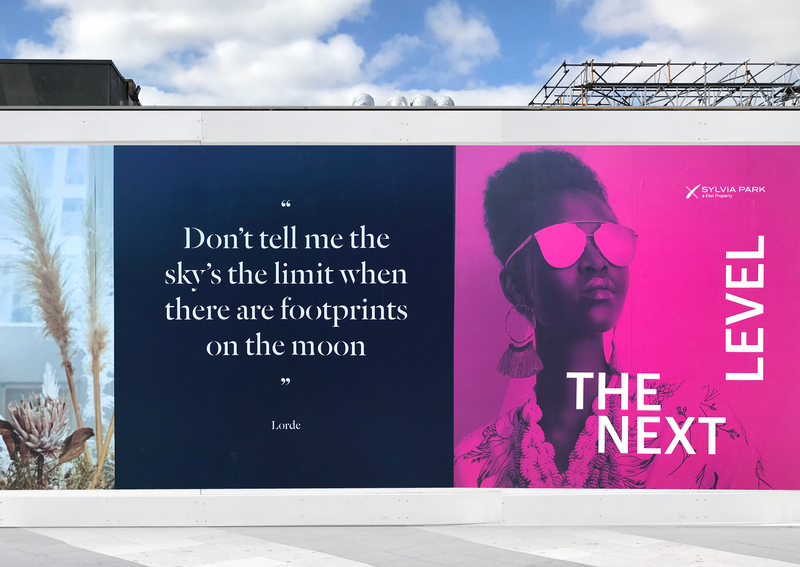 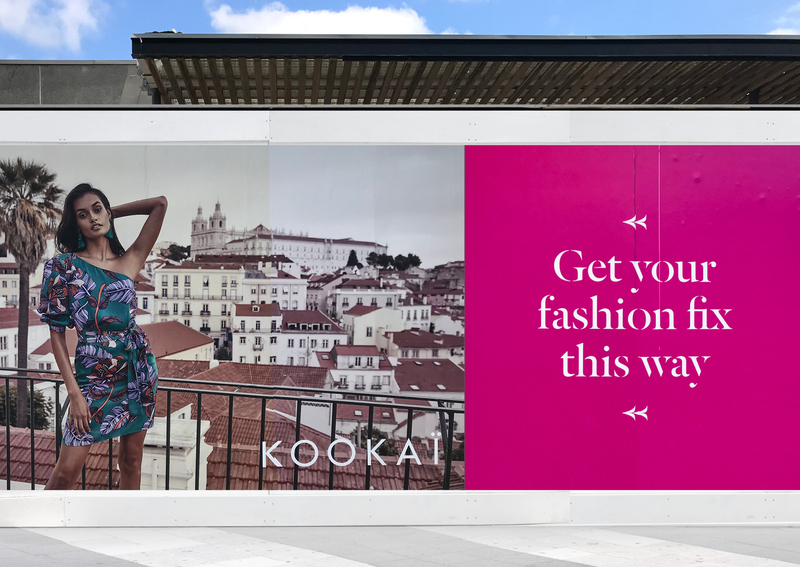 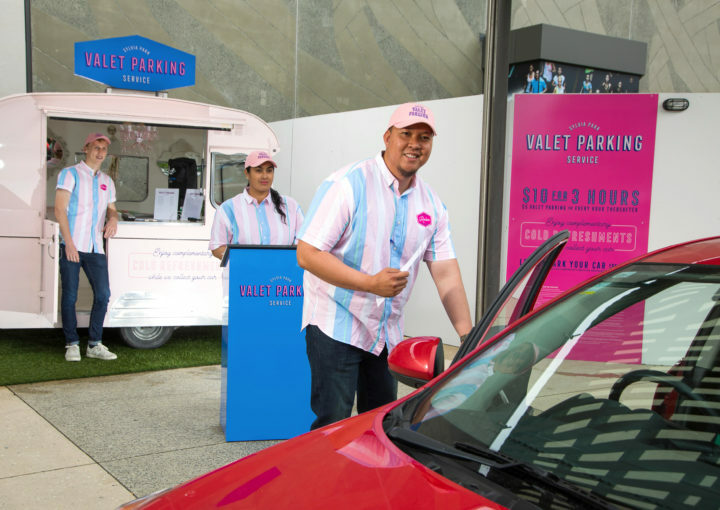 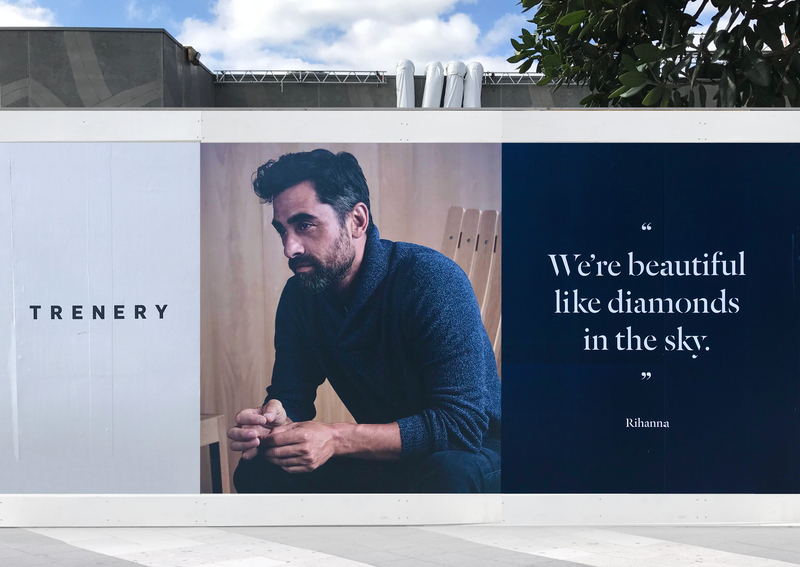 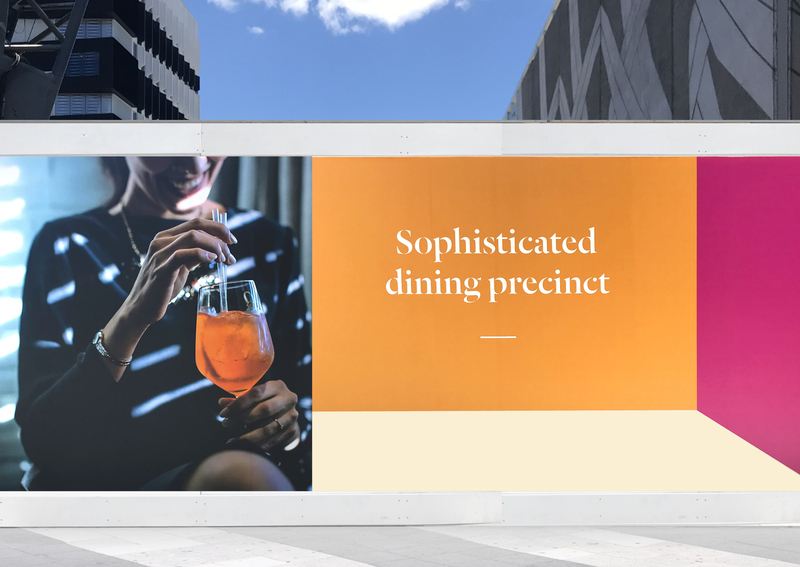 Rolled out on an ongoing basis, the hoardings are designed to engage, excite and inform customers during their visits as the development progresses, at the same time helping to minimise any disruption.